so I thought I would share the details here. I found a few gull-able friends and decided to just put it out there to see if they wanted to make over-sized blocks, cut them into quarters and then swap. Here is our my plan. It is pretty much the nuts and bolts type of information. You can disregard any of the swapping info. Denims, wovens and other textures okay except no crazy stuff like chenille. Press away from center regardless of light fabrics. Do I need to say quilt store quality fabrics? I hope not with this group. – any size center(think big since it will be cut into quarters) – any size strips except outer strips on all four sides must be a minimum of 2” finished.This will allow trimming and squaring up after swapping. – Basically make 16” scrappy blocks then add 2 1/2” cut strips on all four sides to have a 20″ block. 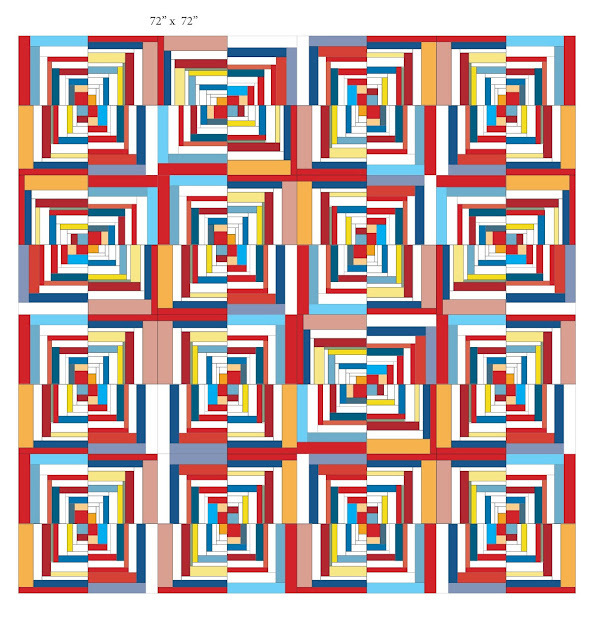 – Cut each block into 4 even quarters measuring 10” square. Keep 1 and trade the other 3. Do not sew any of the quarter blocks back together. – Send the blocks to me at this stage. Once you receive the swapped blocks, trim and square up your blocks. Join 4 together in whatever setting/layout/or design you prefer. So that is our swap in a nutshell. There are a bunch of us doing these blocks with all different styles, tastes and fabric stashes. 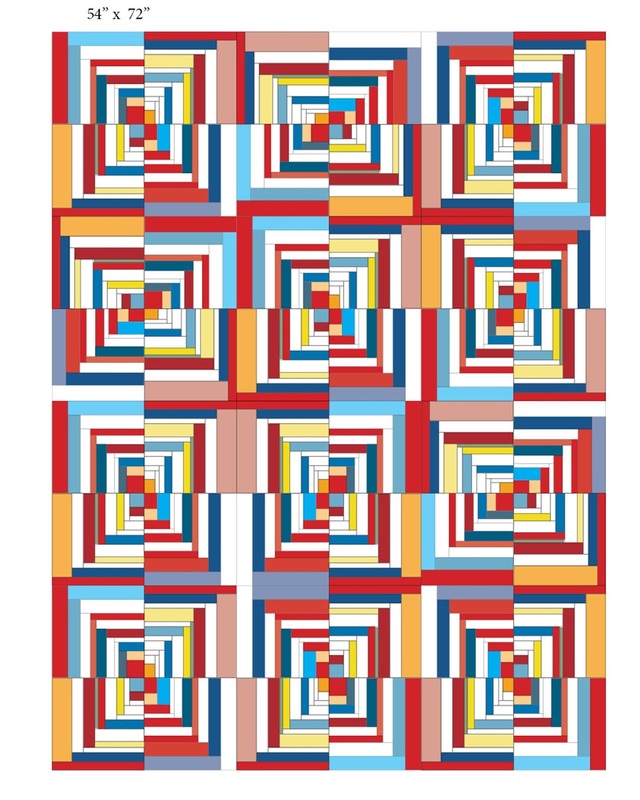 The variety of blocks will be the starting point to create some pretty cool finished quilts. We are a competitive/over achieving bunch, seeing what everyone creates will be the exciting part. Then I added Zen Chic, Sweetwater, Luci Summers, Tula Pink, a piece or two of Momo, Primitive Gatherings and 3 sisters! I am in heaven!! Then in the blink of an eye, Susan already has a bunch of her blocks done. If you follow Susan on Instagram, https://instagram.com/yardgrl60/, you probably already know she is an incredible quilter. This pic is from Laurie Simpson’s instagram. We will be swapping blocks end of July! I hope to have my quilt ready for Labor Day. I can’t wait to see what everyone creates!! 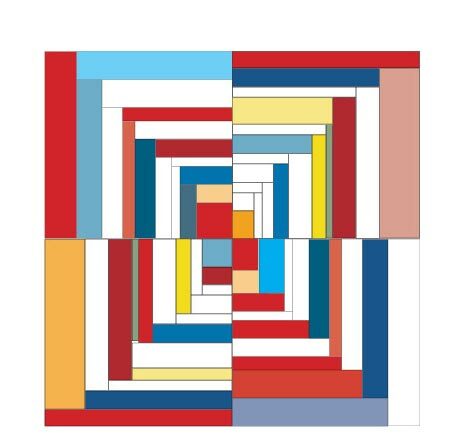 This quilt is so inspired by my friend AmandaJean Nyberg of crazymomquilts as well as all the Bento Box type of quilts happening all over the place. I highly recommend anything Amanda does and her quilt is a bit more manageable than the way we are doing our swap. 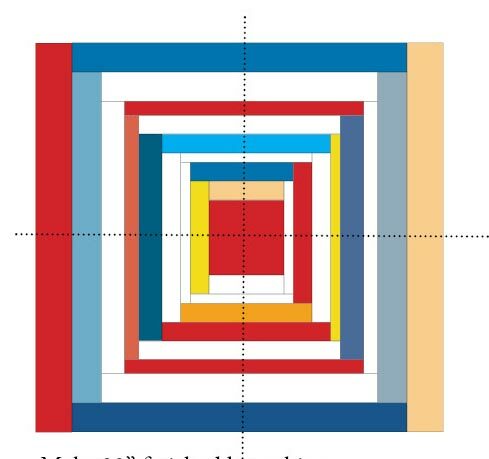 Our blocks are bigger to start with but end up making a smaller block overall. 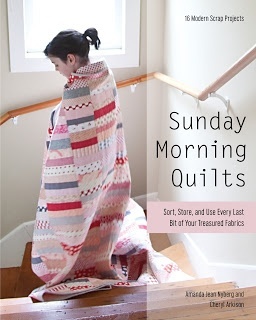 If you like the look but don’t want to deal with the swapping, get Sunday Morning Quilts. You will not regret having this book in your library.